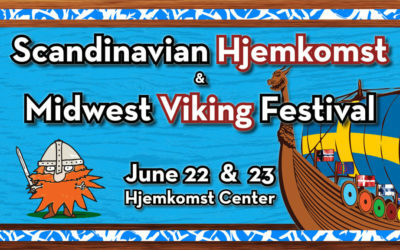 The Historical and Cultural Society of Clay County and Nordic Culture Clubs bring you the 41st Scandinavian Hjemkomst & Midwest Viking Festival on Friday, June 22, and Saturday, June 23. We’ve almost reached the half-way mark of the year and it’s time for our traditional half-year DACC Pinsefrokost (Whitsun Luncheon). Yes! It’s the event in Denmark that leaves everyone scrambling to find out what “Pinse” actually is. We can’t promise you any clear answers or definitions – but what we can promise you is a delicious meal at the 2-starred Michelin restaurant Aquavit on June 8. It is a truly world-class modern Nordic restaurant. You are invited to join Enterprise Florida, World Trade Center Tampa Bay and our partners as we host a Global Road Show Conference at Port Tampa Bay and Port Manatee. The Global Road Show is an excellent opportunity to learn more about the resources available to help companies engage in international business. On April 20, 2018, the state of Minnesota has proclaimed April 20, 2018, as “Knute Nelson Day.” The city of Alexandria has also recognized the day as a tribute to Knute Nelson. Vikings or the Iron Age? Swedish Club of Sarasota Fall Lobster Fest Announced! The Swedish Club of Sarasota has announced their annual Fall Lobster Fest! Reserve your seats now before they sell out! Meeting for Son’s of Norway held May 9th, 2018. 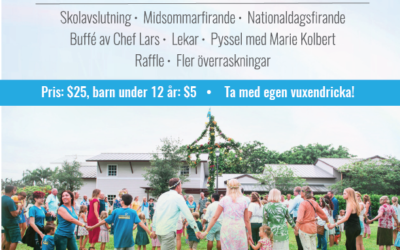 Come join us for the summer festivities at the Scandinavian Church and Center on June 2nd!